For more than 30 years, CITC has provided opportunities for individuals, families, and communities within the Cook Inlet region that promote self-determination for Alaska Native and American Indian people. Guided by our mission, vision, and values, and the resiliency and determination of our participants and partners alike, this work has been intentional, and has resulted in the steady, progressive growth of not only our organization, but of the individuals and communities we serve. We have always believed that strengths, not challenges, are the appropriate base for designing the programs and services that fulfill our Mission, and that personal responsibility is not only essential in achieving one’s potential, but is the cornerstone of our partnership with those we serve. It was around this idea that CITC began its migration from a traditional social services provider to an impact investor in Our People’s potential nearly a decade ago. By harnessing the humanness of CITC, we stand in the promise that we will provide participants with the tools for self-sufficiency that nurture opportunities for self-empowerment. Looking to the next 30 years the CITC Board resolved to embrace technology as a tool to preserve culture, reach Our Youth and advance CITC’s vision. This strong focus on youth is an acknowledgement that Our Youth are the stewards of Our Future. The path we prepare for them becomes the path they will chart from tomorrow. It is important we infuse Our Youth with traditional wisdom they can carry into the modern world. Learning goes beyond the classroom and happens in unexpected places. For Alaska Natives, as with many indigenous cultures, learning at home and in the community is how we pass our values and stories to the next generation. It happens around the kitchen table, at the campfire, on the trap line, and at the set net. It happens where life happens. That is why CITC made the game Never Alone (Kisima Inŋitchuŋa). We know that, nationwide, youth spend eight hours a day connected to electronic devices. The communication avenues have expanded to include digital media. Youth connect through social media, texting, e-chats, and video games. As an organization, we had little presence in this space. Realizing this, CITC set out to create an engaging video game experience. E-Line Media and CITC brought together a world-class team of experienced game developers and designers with the power and passion of an entire community. 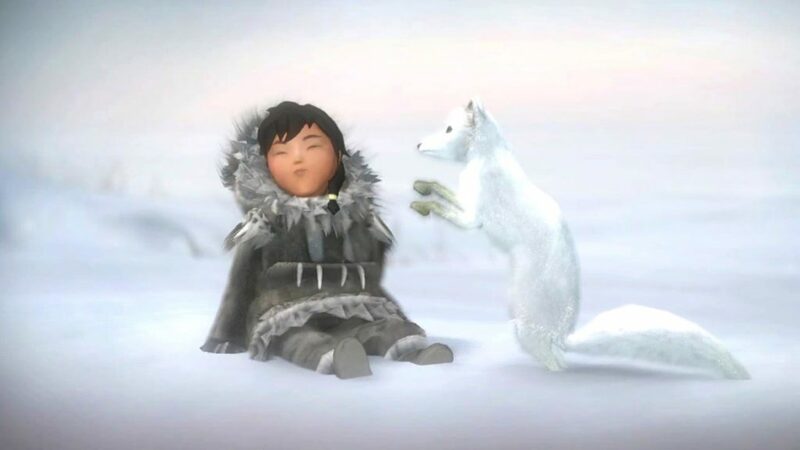 The award-winning game Never Alone (Kisima Inŋitchuŋa) was the result of years of work and deep partnership between the Alaska community of Utqiagvik (formerly called Barrow) and E-Line Media. Never Alone (Kisima Inŋitchuŋa) is the first video game based on traditional Iñupiaq stories made with the Iñupiaq community. Released worldwide in the fall of 2014, Never Alone is a ground-breaking, beautifully illustrated puzzle-adventure game about Nuna, a young Iñupiaq girl, and her unlikely companion, an arctic fox. The game narration is in Iñupiaq with subtitles available in multiple languages. Never Alone (Kisima Inŋitchuŋa) is inspired by traditional stories handed down for thousands of years among the Iñupiaq People of Alaska. 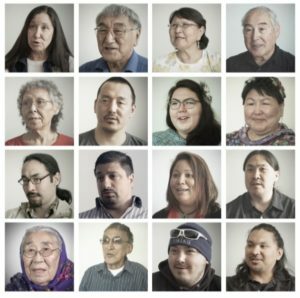 “Kisima Inŋitchuŋa” translates to “I am Not Alone” in Iñupiaq. This traditional value, representing the importance of community, was reflected in the inclusive development process that created the game. Based on Our Values, highlighting Our Language, and celebrating Our Stories and People, Never Alone (Kisima Inŋitchuŋa) was designed to inspire Our Youth, and resonate with universal themes to draw in audiences from around the world. Together with the Cultural Ambassadors (see the following pictures), E-line filmed more than 40 hours of documentary footage during the making of the game. This footage was distilled down to 26 mini-documentaries, which were embedded into the game and unlocked during gameplay. Designed to give the players insight to the world they explore as they play Never Alone, the Cultural Insights have turned into an amazing connection point to the Iñupiaq Community for the millions of players worldwide. Storytelling requires a deep understanding and honoring of those who came before Us. This history creates the context needed for a true learning experience. Both the storyteller and listener engage in this learning process. Throughout the making of the game, both E-Line and CITC held the role of storyteller. CITC was sharing with E-Line our stories and community. E-Line, in turn, was sharing Our Stories with the world through the game. During the making of Never Alone, there were several weighty decisions that had to be made: how to portray death in the video game; how the video game portrayed the connection with spirit helpers; and what type of companion Nuna should have, to name a few. Discussions around these topics not only helped shape the game, but resulted in reciprocal learning. E-Line learned about Our People and Our Culture; CITC learned about video game design. This type of reciprocal and inclusive process became the foundation for how the game was developed. As a result, the world fell in love with Nuna and Fox and the entire community that made Never Alone (Kisima Inŋitchuŋa). Never Alone was launched with over 75 “Best of 2014” media listings and a 2015 British Academy of Film & Television Arts award for “Best Debut” in Games, along with many other accolades. With more than 3 million downloads to date, the game continues to produce financial returns but has also introduced a worldwide audience of gamers to Iñupiaq traditional stories, wisdom, and community members. Never Alone demonstrates how a double bottom line investment can sustain the CITC’s mission both financially and culturally.